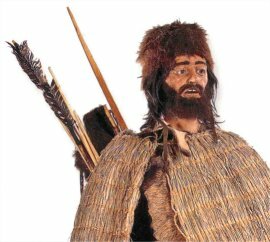 "Oetzi's full genome has now been reported in Nature Communications." "It reveals that he had brown eyes, "O" blood type, was lactose intolerant, and was predisposed to heart disease." Tattoo lines on the arm of the Tyrolean iceman, Ötzi. 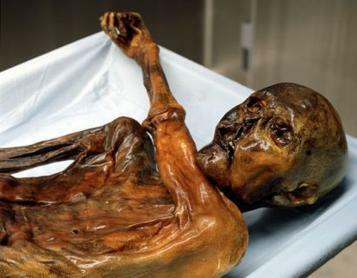 Brad Pitt appears to sport an Ötzi tattoo.